I wanted to let you know how terrific it was working with your company and the mobile billboards. 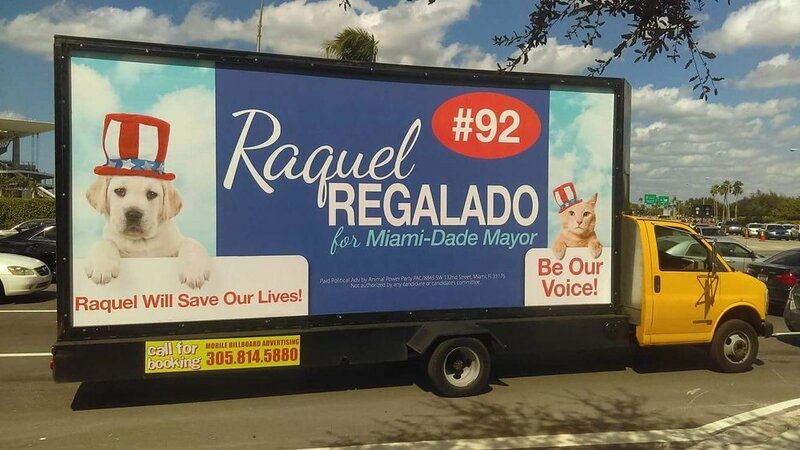 For almost 20 days, ten hours a day, your guys were out driving our sign and message all over Dade County. You covered the routes exactly as planned, parked in high profile places when you could, and always kept us up to date with great photos. We received calls almost every day from people throughout the community that saw the truck, and we loved the photos you would send us of people taking pictures of the truck when it was parked. We found it an extremely effective way of advertising. It was also very enjoyable working with you because you always reacted immediately to our last minute changes, and helped us to make some of our suggested routes more efficient. Your patience and guidance was certainly admirable.